Markham, Ont. 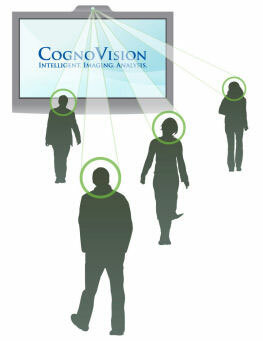 based CognoVision Solutions Inc. has been named Canada’s 2009 Innovation Leader for its face-detection and people-tracking technology that provides retail audience measurement. CognoVision was selected as the winner from among the Top 20 innovative companies named last month by the Canadian Innovation Exchange (CIX). The Markham firm received the award at a CIX function Wednesday night in Toronto. CognoVision uses small optical sensors to detect when shoppers are looking at specific advertisements, and how they chart a path through stores. The technology was showcased Wednesday, at the CIX event, during a presentation by Haroon Mirza, director of business development at CognoVision. Competition was tight among the 20 companies recognized as high quality innovators, says CIX co-chair Rob Montgomery. But Mirza’s presentation helped put Cognovision over the top. If the firm had been using its face detection technology on the crowd, it would have measured some awed reactions. However, CognoVision’s face detection technology isn’t about measuring emotion, expression or identity. It merely translates the image into binary data and recognizes the pattern of a human face. It measures how long that face looks at the advertisement, where it is looking, whether it is likely to be a man or a woman, and the person’s approximate age. No images are ever recorded, Mirza explains. The company is very careful to maintain privacy. A similar application of the technology measures how many people enter a store and how they navigate through it. Software sitting on a server compares an empty store to what it’s seeing in real-time and detects the pattern of a person moving through it. Small log files are created of the activity and uploaded to the server. Retail managers can then view the analytics front-end of the software to understand — not just how many people are entering their store — but how many of them are being converted into customers. Founded in 2006, CognoVision’s real-world application and clear benefit to retail environments helped it become a winner, Montgomery says. “It just shows the power of data,” he says. The product has been adopted in the field by several companies since it hit the market in February 2008. Customers include the Air Canada Centre, Movado Group and its luxury brand of watches Concord, as well as The Marketplace Station found inside select Whole Foods Market locations. Mirza said CognoVision, which will be making forays into global markets, is thrilled its technology has been recognized by the CIX award. It’s great, because selling internationally, it brings a sense of credibility to the table,” Mirza says. CognoVision also won the award in the Digital Media category. Waterloo, Ont.-based Aeryon Labs Inc. won in the ICT category, while Toronto-based Skymeter Corp. won in the Clean Tech category. Aeryon Labs was recognized for Aeryon Scout — a hovering, unmanned flying vehicle that can record digital images and video. About the size of a lawnmower, the four-rotor device with a gimble-attached camera can be controlled with a simple touch screen remote control. The touch screen interface is similar to Google Maps, Kroetsh says. Users simply tap where they want the drone to fly and it will do so in real-time, or on a planned flight path through a series of waypoints. On the market since July, each drone costs between $50,000 and $75,000 depending on how it’s outfitted. 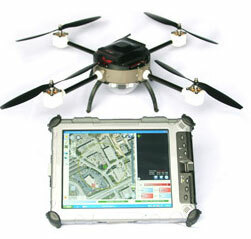 It is already being used in the field by military and police departments in Canada and abroad. “It’s been used for anti-drug operations in Central America,” Kroetsh says. Skymeter describes itself as a “financial grade GPS” on its Web site. The metering technology is installed in cars and can be used to charge road tolls. In the City of Winnipeg, it is now being used to charge some residents for parking instead of feeding coins to a meter. CIX aims to connect start-up companies with potential investors. 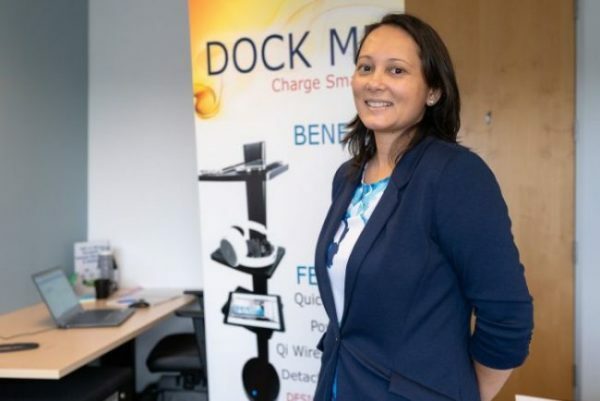 Now in it’s second year, it is gaining recognition as an industry event that brings together companies in need of capital with the people who can provide it. The Toronto Stock Exchange was also on hand this year to add to its listing, Montgomery says. CognoVision is open to investors, Mirza says. Though the firm is privately funded and doesn’t necessarily need funding. Similarly, Aeryon favours partners and is looking for more investors, Kroetsh says.